By Ja Wei Lee | October 5, 2017. 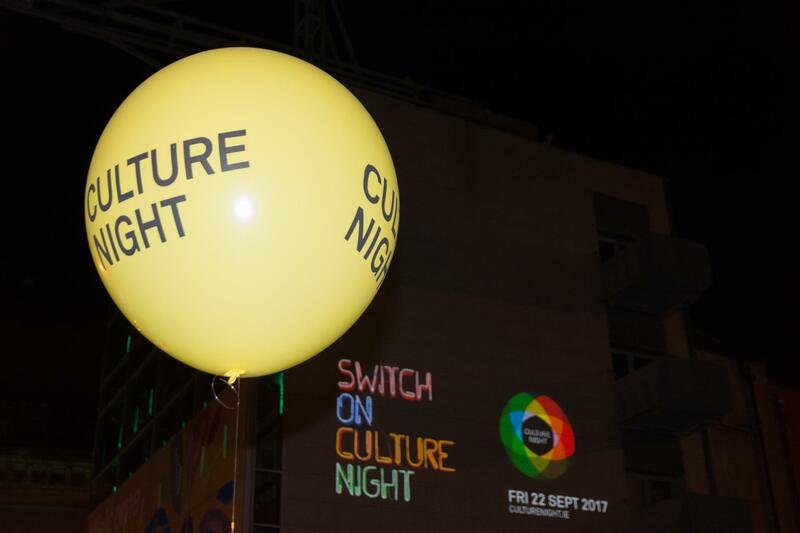 Culture Night came back last month for its 13th year and was bigger than ever. With an attendance of up to 400,000, Culture Night is one of Ireland’s biggest festivals. Twelve years ago, Culture Night started up as just a small event in Dublin’s Temple Bar. Now it has evolved into a grand-scale national event featuring all the different cultures that Ireland has to offer. The Liberties area of Dublin was one area that offered plenty of cultural activities in places like Gallery Zozimus, The Constant Knitter, and Dublin City Hall. It was a great night for shops and businesses, as businesses that usually close up shop in the evening open up till late on this special night. Down at Camden Street in the Liberties covers international cultural events, including Hungarian Culture Days, An Introduction to Afghan Music at the Lantern Intercultural Centre. and talks from Concern Worldwide- Ireland’s largest aid organisation. It may seem like Culture Night is relatively unknown to the public in the early hours of the evening; but the hype of Culture Night finally kicked in when night fell. The biggest event of the day was none other than RTE’s open-air concert at Dublin Castle. The event, always a crowd-puller was filled with music and poetry. Guest performances include Stephen James, Olivia Leary, Jerry Fish and more. Rebel Liberties, a tour which explores the revolutionary history of Dublin’s Liberties from the United Irishmen to the Irish Civil War was also available that night. The Liberty had the opportunity to catch a breathtaking aerial performance by Aerial Cirque in Dame Street at a quarter to nine.